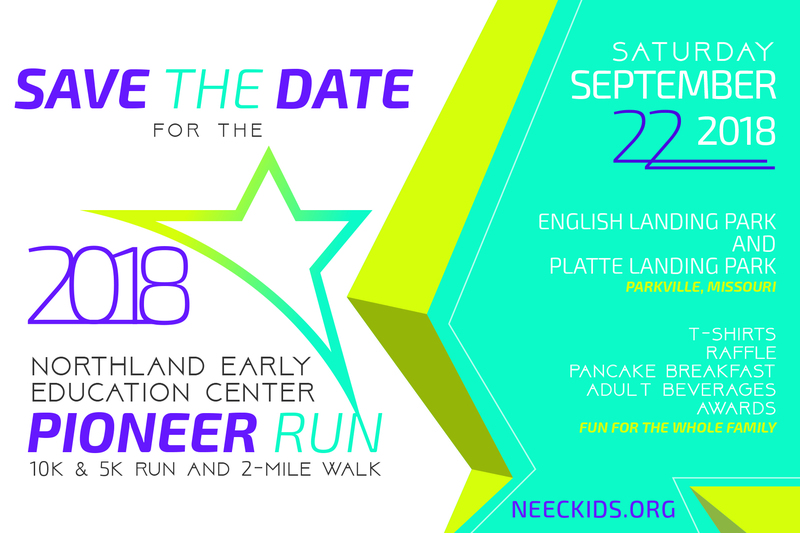 The Pioneer Run (10K, 5K, & 2-Mile Walk) is one of NEEC’s annual fundraising events. It is held annually at the scenic English Landing Park in Parkville, MO. Includes Chip timing, awards, great prizes and raffle items, a pancake breakfast by Chris Cakes, adult beverages and t-shirts for all participants. This year We Rock The Spectrum will have its We Rock on Wheels bus, a fun, mobile extension of We Rock the Spectrum at the race. The Bus comes with sensory-safe equipment designed to help children develop key motor skills, improve sensory processing, and learn to better communicate and play with others. Prizes will be awarded to the team with the most participants and the overall male and female first, second and third place winners in the 5K and 10K run. Overall first, second and third place winners in the children’s age group, 13 and younger, will also be awarded. Packet pick-up is Friday, Sept 21 from 12:30 p.m. to 5:30 p.m. at Northland Early Education Center, located at 8630 North Oak Trafficway, Kansas City, MO 64155. Race Packets are also available for pickup on race day starting at 7:30 a.m. at English Landing Park West Shelter. For additional questions please contact Brea Connett at 816-420-9005 or by email at brea@neec.us. Join us for a fun, family-friendly Saturday morning at English Landing Park and help support our cause! All proceeds from the event will benefit Northland Early Education Center’s quality fully-inclusive early education and therapy services for children who have special needs and typical needs in the Kansas City Northland Community. Sponsorship opportunities are now available. Teams are available through a sponsorship and for anyone who forms a group of two or more participants. If you are interested in sponsoring the Pioneer Run through your company, family, or running club, please contact Brea Connett at 816-420-9005 or by email at brea@neec.us.